It’s my Mum’s birthday this week so to celebrate I had to create the ultimate, indulgent surprise for her that you couldn’t just ‘pick-up in Waitrose’. After some serious recipe deliberation, I concocted this double-layered chocolate dream with her favourite Maltesers in the butter icing. Preheat your oven to 180C and mix together the butter, sugar, cocoa powder and vanilla essence. Mix together until smooth and then whisk in the eggs followed by the cream and milk. Crush the packet of Maltesers and leave to the side. Mix together the butter (it’s easier if this has been left out to soften) and the icing sugar adding in a few drops of milk. Now, the best part, mix in the crushed Maltesers – tasting and licking the bowl is compulsary throughout this cake making! Keep in the fridge until the cakes are ready. Once cool, spread the Malteser butter icing on the top of one cake and place the second cake on top. The quantities above should be more than enough to ensure that you have a thick layer of icing. Now, some more bowl licking to come (! ), mix together the icing sugar and cocoa powder to create the chocolate icing that is going to cover the cake. Melt the butter and mix in with the double cream until the whole mixture is smooth. 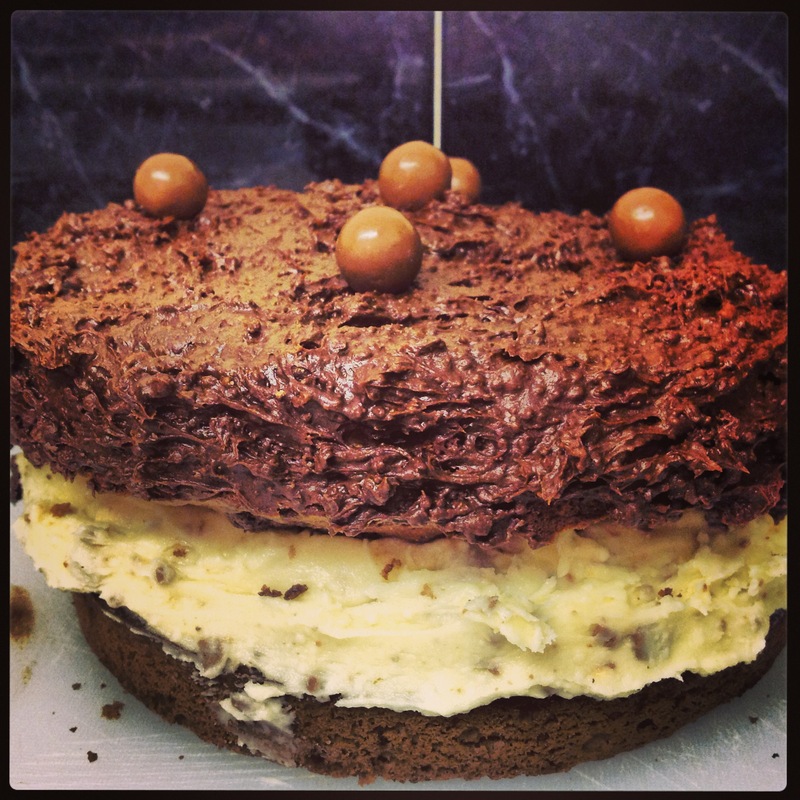 Smear generously over your cake and decorate with Maltesers….easy peasy!! A bit of a beast that probably should come with some kind of health warning, this chocolate cake has some great layers once you cut in to it. 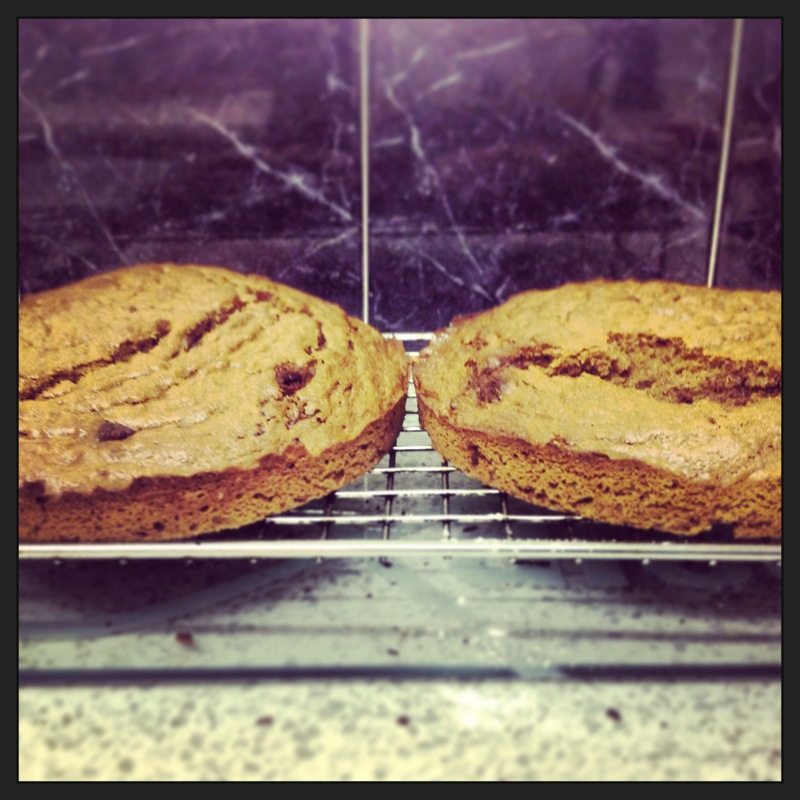 What have you been baking this weekend? This entry was posted in Food and tagged birthday cake, cake recipe, choclate cake recipe, Chocolate cake by singapuresling. Bookmark the permalink.